As Tom Jobim, the great Brazilian musician and composer said, “Brazil is not for beginners”. When Brazil entered the new democratic period in the mid 1980s, it started to change quickly. Fernando Henrique Cardoso, the intellectual president from the social democrat party, took control of hyperinflation, opened the Brazilian economy, reduced government participation in the economy and started important reforms in order to rationalize the state. This was essential to the next phase, when Lula, the charismatic president from the labour party, created all kinds of social programs, giving power of purchase to poor people for the first time in Brazil’s history. These elements awoke the Brazilian internal market of people hungry for consumption, and, in simple words, that’s the reason why the 2008 global crisis didn’t hit Brazil as hard as it did the rest of the world. 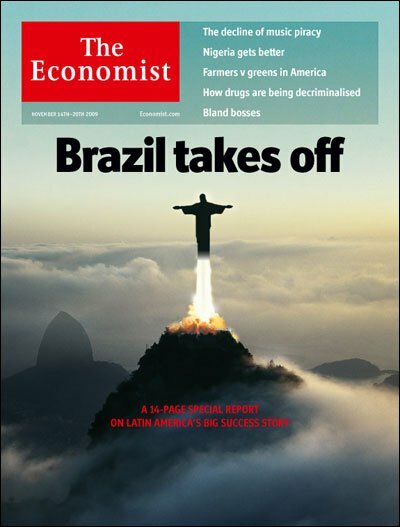 And then, suddenly, Brazil was on everybody’s radar, for successful World Cup and Olympics bids. Now comes the bad part of this story. Despite the economic progress of the last 20 years, our politicians did not achieve other important goals desired by Brazilians. In contrast to our status as the sixth biggest economy in the world, our public services, especially health, education and security, are at the opposite end of the scale. Add to this corruption scandals with no prosecutions and one of the most unequal distributions of wealth in the world and you have the full picture. On 3 June a small leftist group called MPL – Movimento Passe Livre (Free Transport Movement) – which campaigns for free public transport in Brazil’s cities, started protests when the new São Paulo mayor announced a R$0,20 (US$0,09) raise in bus, subway and train ticket prices. To start with, most of the population didn’t care less about it, but each day the campaigners managed to congregate more and more people. The turning point came on June 13, when policemen treated the protesters with disproportionate force, which triggered the population to use the R$0.20 increase as a symbol for something much bigger. It started to represent the poor public services, corrupt politicians, and the threat of hyper inflation. And just like the Occupy Movement and the Arab Spring, social media played a crucial role in scaling the protests and the protest ecosystem: suddenly politics became the only subject that mattered on Facebook and Twitter, which is really new for Brazil. Coincidentally (or not) it all peaked at the beginning of the 2013 FIFA Confederations Cup. For some time Brazilians had been saying in a resigned way ‘Imagina na Copa’, meaning ‘If it’s this bad now, imagine what it will be like during the World Cup’. Looking back, with the benefit of hindsight, it’s not surprising this grew into the protests. The cost of the new and re-built World Cup stadiums had steadily risen from initial estimates and is more than the last three World Cups combined. They are being paid for by public money, in contrast to the promise, when Brazil won the right to stage the World Cup, that they would be privately funded. Add to that that other improvements linked to the World Cup and promised by government like new subway lines will not be ready by 2014, together with the poor reputations of the CBF and FIFA, and you have a time bomb. It exploded on June 17, with protests in every major Brazilian city, which are now happening every day and night. 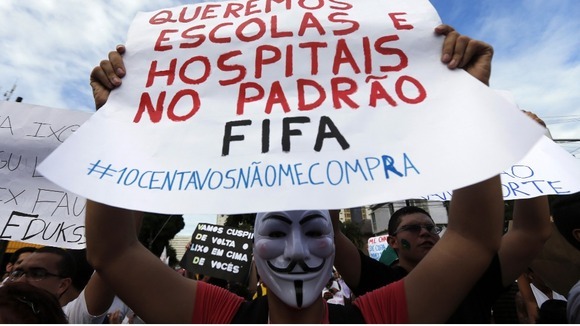 In the streets and on social media, people started saying Brazil not only wants stadiums, but also health and education to “FIFA standards”. It’s difficult to predict how and when #ChangeBrazil will end. Ticket raises are being cancelled by the minute, and the President has promised new infrastructure investment and a referendum on political reform, but people are going to the streets anyway. It’s the biggest social movement in the country’s recent history, and probably the first one above party political interests. As the population is claiming, it is democratic, mostly peaceful (until now) and beautiful! The most visible impact of the protests on brands is that some of the protests’ most-used slogans have been adapted from recent brand campaigns. Johnnie Walker’s ‘O Gigande Acordou’ (‘The giant is awake’) campaign showed the famous Sugar Loaf Mountain standing up and walking. The line was a reference to Brazilians’ commonly-held view that Brazil is a giant sleeping eternally. Fiat used ‘Vem Pa Rua’ (‘Come To The Streets’) as its line in a football-themed campaign to ambush the Confederations Cup (they are not FIFA sponsors). And Vick, the cough drops brand, were also trying to hijack the Confederation Cup, by promoting the hashtag #chupaessa (#suckthis) on Twitter. As soon as the protests started, people h-jacked these brand slogans, all of which became part of the movement, used in placards on the streets, and on Facebook and Twitter. 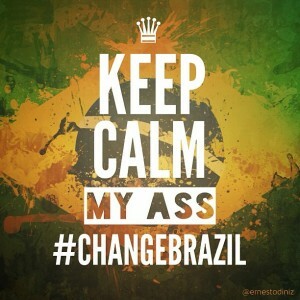 There are also examples of brands actively using #ChangeBrazil in their communication. In fact, almost everyone is doing something about it on Facebook, most of them being more conservative, with generic patriotic posts. Stores near Paulista Avenue, the epicenter of #ChangeBrazil, are using the movement’s elements in their displays. Store owners said that they are trying to engage with the moment and avoid looting. 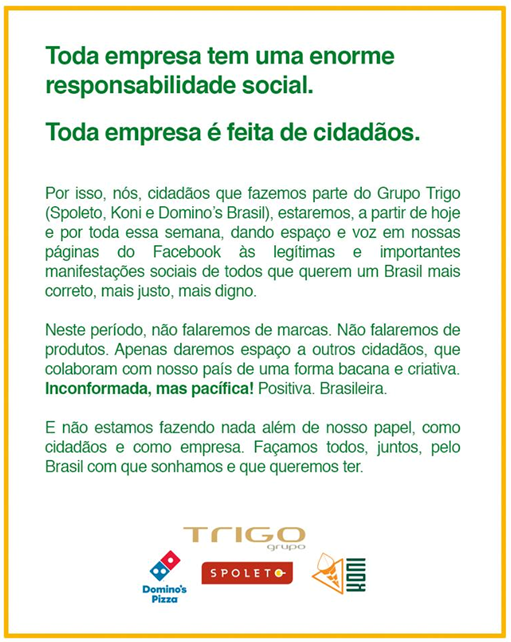 However, the most interesting #ChangeBrazil ‘activation’ so far has been by Spoleto, a big Italian fast food chain from Grupo Trigo, who license Domino’s Pizza in Brazil. They released a manifesto on their Facebook fanpage, basically saying that they would be opening that space for political discussion, and any brand activation would would be ceased for a week. The discussion in advertising forums is about the possibility of brands taking a clear stand. Should they? Fiat thought it was better to leave the conversation and ended their campaign ‘as planned’ on June 22. Spoleto went the other way. It will be interesting as well to see which way Brahma will go. 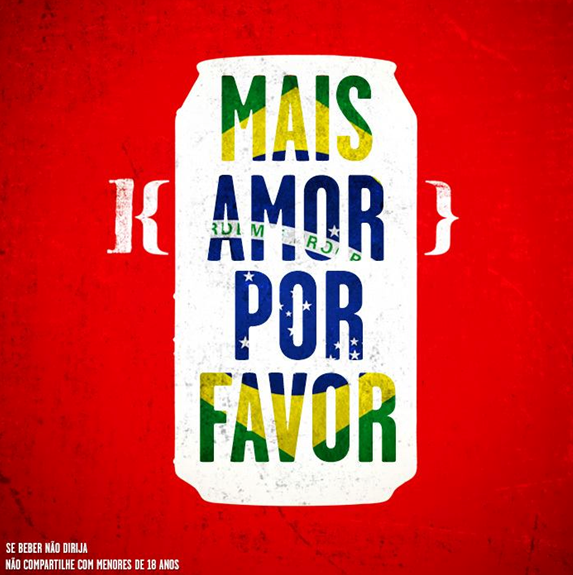 The beer brand, which is a World Cup sponsor, was one of the few sponsors meaningfully activating the World Cup association in Brazil, and the only one positioning itself around discussions of the World Cup being good or bad for the country. Last year they released a very emotional and positive campaign telling Brazilians to care less about problems and imagine the party that will take place in 2014. It was a bold move, and divided public opinion. As #ChangeBrazil is partly a reaction to the government’s astronomic spending on the World Cup, many in the international media have questioned Brazilians’ attitude to the World Cup (especially) and the Olympics. In fact, most Brazilians don’t think the World Cup and the Olympics are the problem. Most dreamed about hosting a World Cup again, and the Olympics are welcome too. Winning the bids is a proof that the world is finally taking us seriously, and it’s very nice for everyone’s ego! The problem is how the events were ‘sold’ to the Brazilian public, the reality of our infrastructure versus the huge spending on the World Cup, and, as David Owen wrote recently, the evident complacency of FIFA and ‘Big Sport’. As probably everyone in the world knows now, FIFA has got its PR strategy totally wrong in Brazil, notably when Sepp Blatter told protestors that they should not link their grievances to football, whilst at the same time Neymar was so visibly supporting the protests, and Paolo Andre, the former Corinthians player, recalled that football had been used as a tool of mass control in the past, but now it was the people’s turn to use sport to call attention to their demands. From here, it’s difficult to see how FIFA can recover its image in Brazil in time for the World Cup, which obviously has big implications for all the FIFA sponsors, who’ll now need to re-think their activation strategies in Brazil. 1. Brazil’s sense of its identity is changing very fast, and more than ever before, brands – both Brazilian and international – will need to listen to consumers and re-think their positioning and messaging. Brazilian values have always been attached to happiness, being easygoing, hard-working and, of course, the ultimate clichés: samba, beaches and football. This kind of thing still reflects what Brazil is, but June 2013 has changed it, evolved it, and made it much more complex. 2. An example is what’s happening now. People still care about the performance of the Brazilian team in the Confederations Cup, but conversations in bars are split between football and politics, and this is new, very new. 3. Now it’s clear that Brazilians are deeply concerned about social issues, which means that brands will need to increase their CSR efforts, especially if they are going to try to wave the Brazilian flag . Those that already have strong CSR credentials have a big advantage: those that don’t have to move very, very fast to have permission to do business in Brazil, let alone marketing. 4. There is lots of white space to integrate sports with CSR in Brazil. We expect to see a big increase in sponsorship of social development programmes and Paralympic sports, for example, but there’s plenty of room in other causes too. 5. CSR campaigns don’t need to be dull. As we wrote recently, there have been some amazing campaigns fusing sport and CSR in Brazil in the last year or so, one of which recently won one of the top awards inCannes. 6. Celebrities who are out of touch with #ChangeBrazil are a real risk for brands. The untouchables Pele and Ronaldo lost huge credibility with Brazilians after poorly chosen words about the protests – although to be fair Ronaldo’s were said in 2011. Conversely, others such as David Luiz, Dani Alves, and volleyball player Bruno Resende are in the ascendant after stating they were worried about their performance, but that they were proud and concerned about the Brazilians on the streets. 7. Naming rights sponsorship has started to gain momentum this year and looks likely to keep growing. But brands will be wary of the downsides of associating themselves with ‘FIFA’ stadiums, especially the three potential white elephants in Brasília, Cuiaba and Manaus. 8. Brazilians have discovered social media, especially Facebook and Twitter, as the modern Agora, and that has huge implications and opportunities for brands in Brazil, who activate sponsorships very little in social channels compared to traditional media, especially TV. 9. FIFA sponsors will need to work harder than anybody, but especially in social as their fanpages are suffering daily attacks by consumers. 10. Olympic sponsors have a big advantage. 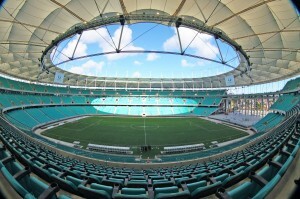 They can watch and learn from FIFA sponsors’ efforts next year, and adapt accordingly for Rio 2016. But how long will it be before the protests turn their attention from World Cup budgets and FIFA to Rio 2016′s budgets and the IOC? Corinthians wins Libertadores; sponsors profit! For those who do not know brazilian football well, this post needs a little contextualization. Corinthians is the second biggest brazilian football club in number of supporters. They have lots of national titles, but lack international tradition. Well, it´s more accurate to say that Corinthians is building an international tradition. Copa Libertadores is the South American version of Uefa Champions League. It´s the most important continental title a brazilian football club can win, and until recently, Corinthians had none. All the rivals made a lot of jokes about that, and every year Corinthians qualified to Libertadores, there was a huge pressure to win it. Something like the famous Boston Red Sox´s curse. But all curses are meant to be broken, and so was Corinthians´. The club finally won Libertadores this year, unbeaten and facing Boca Juniors, the biggest Argentinian club which won several titles in the last decade, specially against Brazilian clubs, in the final. Can you imagine the tension in the air? For 2 weeks it was the only subject in the country. Even for those who hate footbal (believe us, there are a few in Brazil). In the final game, 3 in 4 TVs were tunned on the game. In recent history, there wasn’t a match with a bigger sponsors’ participation. 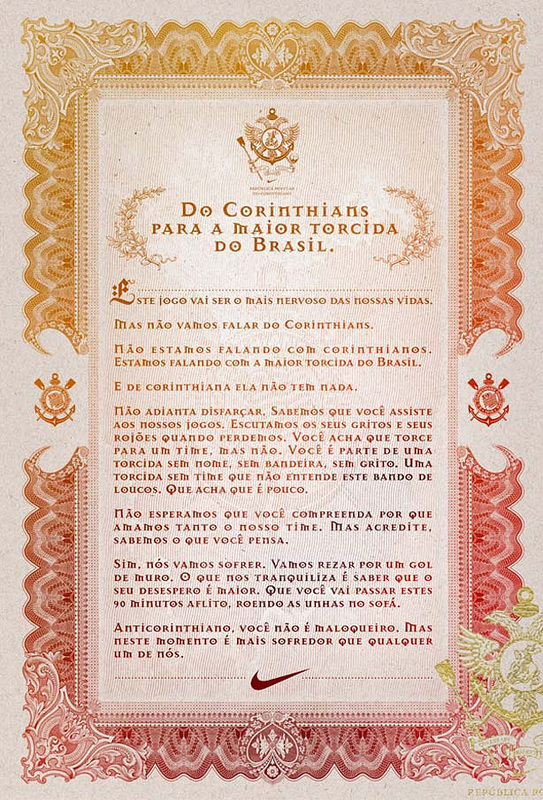 Below, there is a compilation of what they did to help support Corinthians in this important moment. All videos are in portuguese, but you can sense what each one is about. Well, we don´t support Corinthians here, but it was a big sports marketing lesson to all clubs and sponsros. Right after the finals they launched this timeline with the team’s journey. The user must side scroll it to pass trhough the main facts of each match until the final. The brand only appears in the end. The leading steel wool brand in Brazil released a humourous video with Carlos Moreno, an actor that have been appearing in Bombril ads for decades. Now he is here to joke with Boca Juniors. 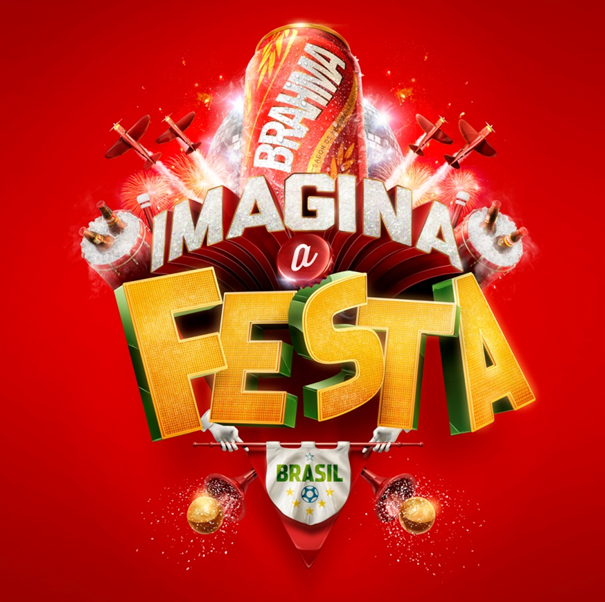 Brahma is the second beer brand in Brazil and it has a close link to football. To promote this match they released a video with the club’s anthem played tango style, the traditional Argentinean rhythm. This radio station is not exactly a sponsor, but they payed a great tribute as well, using São Jorge mythology. São Jorge is a catholic saint, and one of Corinthians’ symbols. And, finally, Nike released a very polemic letter, just before the final, mocking those brazilians who were supporting Boca Juniors, which they called “the anti-Corinthians”. And they were a lot. It was a bold move from Nike, and many of the targeted “anti-Corinthians” tried to organize a boycott. After the final Nike also released this emotional video. In the end we were more jealous about Corinthians’ sponsors than the title itself. We would love to see our teams´ sponsors doing the same.